Every Hire Truck/Tempo company associated with LogisticMart goes through extensive background inspection before we register them with us. We only connect verified and reliable Truck/Tempo companies of Kolkata. In Last 25 days as of Apr 23 2019, LogisticMart has incorporated more than 4692 requests just in Kolkata. For each request we do a follow-up call to ensure our customers experience has been worthy. leading tempo service in Bangalore that offers trusted moving experience. This tempo company has a team of professionals who strive to provide you top moving solutions. They are well-trained in moving goods, relocation and transporting customers belongings using innovative strategies. Suresh Tempo Service has a wide spectrum of flexible shifting solutions. top packers and movers services in Gurgaon and beyond. This tempo service provider has a strong foothold in the logistics industry. Why it is beneficial to go for truck hire Kolkata services? The leading truck hire Kolkata service providers with their strong network all across the India. Whether the move is local, long distance or international goods transportation services, the companies acquire all the expertise to handle simple to most demanding relocation moves thereby taking off all the burden of transportation. To avoid hassle hire truck or tempo for shifting in Kolkata at Logisticmart.com. What important things to look when searching for best mini tempo rental company in Kolkata? Compare the mini tempo carriers in Kolkata that you can hire a professional one that can be trusted easily. Below given are some points to consider for comparing the service providers. Ensure that the truck rental company should have a valid license to provide various transport services. This would give you an idea about its authenticity in the industry. Don’t go for a service provider if it doesn’t provide you the insurance coverage. Every company has a different style of working and providing services. How you can transport goods with great ease through Kolkata truck hire companies? Segregate those truck hire companies in Kolkata whose rates are not high and don’t go beyond your limited budget. Don’t forget to have a sufficient quantity of the packing supplies required to pack the goods which don’t need any packing by a professional car shifting companies in your city. It’s better to dispose of some items which are lying in an unused condition in your car for a long period of time. Are you planning to shift somewhere within or outside Kolkata? We, at LogisticMart will provide you with the best services provider of tempo and truck rental in Kolkata. All our partners in Kolkata are well-verified as well as government licensed to make sure you go through a smooth shifting service in Kolkata. We highly value our customer’s need and thus ensure that they are fulfilled. You can book the best transportation service for shifting in Kolkata according to your convenience. All the facilities will be provided at your doorstep. We will connect you to the best transportation services in Kolkata who will offer great shifting services in Kolkata. Let LogisticMart act as your one-stop destination for each and every transportation during shifting. 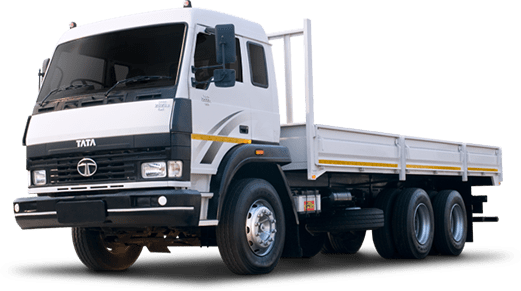 So contact us now to get in touch with the best company from where you can hire truck and tempo for shifting in Kolkata. Shifting out of Kolkata is not only physically stressful but also emotionally. Not only you will be parting away from your closed ones and great street food of the city but you will also be going through a lot of stress of packing your stuffs and shifting. When it comes to shifting, professional as well as efficient transportation services prove to be the saviour. But how will you finalize the ideal truck or tempo transportation service in Kolkata? Is there any good or professional service or are all of them the same? 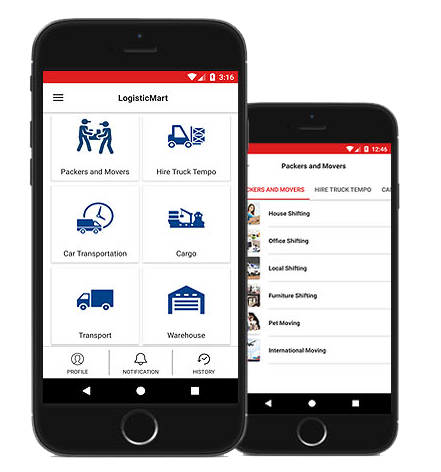 Well if you rely on our services at LogisticMart, you will have all your questions answered and will be able to select the right transportation company while shifting. We are well experienced in our service and will aid you to hire truck in Kolkata at affordable price. If you wish to book mini truck in Kolkata compare various companies and then hire that professional whom who can easily trust. Every company will have a different working style and way of providing service. Ensure that the company has a valid license in order to provide you with various transport services. Thus you will understand it is an authentic company or not. How it works at Logisticmart? Share the requirement: Get custom truck rental rates in Kolkata from matched transportation company. Compare each and every quote: Check the ratings and reviews and then compare them with others. Hire the perfect transportation: Get hold of the best and safe one in order to make your experience hassle-free. Genuine partners: At LogisticMart we only onboard the top-rated and government licensed transportation company in Kolkata. They go through various verification processes before they are selected by us. After on-boarding them we also provide them extensive training. Fair pricing: The rates of the service of chhota hathi for rent in Kolkata are set on the basis of various prevailing average prices as well as after proper research along with survey. The price that is quoted by most of our transportation partners is very transparent because you will get a proper idea of what is included in the total price of transportation and how it is calculated. Great quality: LogisticMart provided transportation companies will never compromise on the quality of truck on rent in Kolkata. True professionalism is maintained to make sure that there is no damage caused to any items or belongings during shifting.